Who doesn’t know the story of Cinderella? 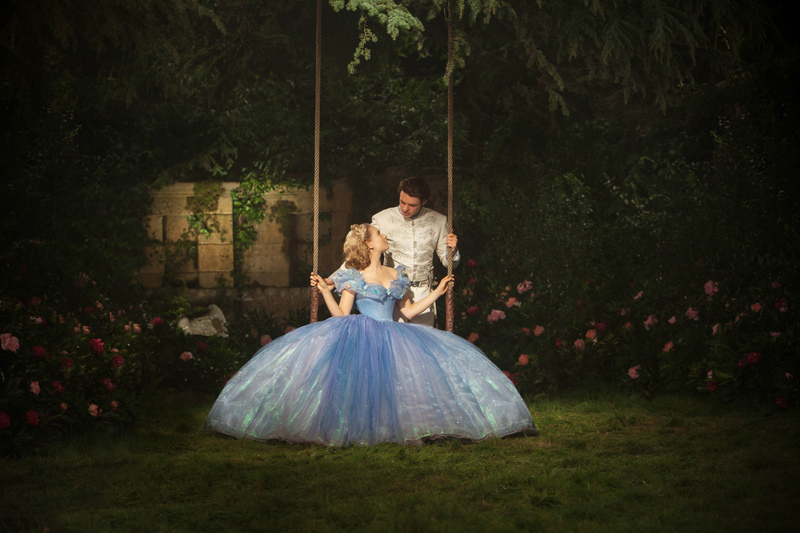 It’s as intrinsic to pop culture as anything else – the glass slipper, the stroke of midnight, a wicked stepmother and the handsome prince… Cinderella, like many other classic fairytales, is a part of childhoods across the globe. As it turns out, the romantic notions and themes from Cinderella are as transformative to me now as an adult, as they were when I was a little girl. Watching Disney’s new, live-action version starring Lily James, directed by Kenneth Branagh, I caught myself leaning forward in my seat and smiling; transformed. Of course, James is a quintessential Cinderella. She shines on screen with an innocence, warmth and wistfulness that grab hold of your heart. She’s executing with ease the wonderful setup provided by her younger counterpart — Eloise Webb brings the same traits to the younger “Ella” and I fell in love with her. Even though Branagh has proven his non-Shakespearean directorial skills before (and I won’t even hold Jack Ryan Shadow Recruit against him), it’s still hard to believe this king among actors could direct such a stunning masterpiece. The film is stunning and it occurs to me now that in fact, it has a rather Shakespearean grandness to it so perhaps it was a perfect project for Branagh after all. One of the best things he did was bring Patrick Doyle on to create a breathtaking score. Cinderella is Disney’s best live-action fairy tale attempt to date. It’s possible we need a little more “courageous and kind” in our lives. We live in an overly-sensitive and cynical age so it was nice to know that a movie like this could still have such an effect on me. Thankfully, fairy tales still have a place in my heart — and in this world. The magic is still there if you’re willing to let it in! AJ Feuerman is the author for the critically acclaimed website, confessionsofafatgirl.net, and be sure to follower her on Twitter. Hello…Is It This Video You’re Looking For?